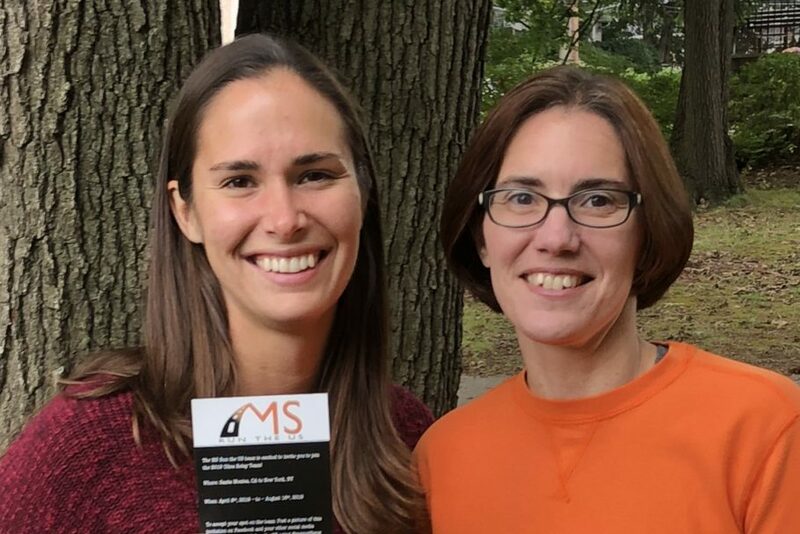 I will be running 188 miles in 7 days in honor of my sister, Michelle, and for multiple sclerosis fundraising with the 2019 Ultra Relay Team. I started running cross country and track my freshman year in high school, and then went on to run for two years at a small Division 2 college in NY. Since then, I have done multiple half marathons and 3 full marathons. I now coach cross country and track & field at Cliffside Park High School in New Jersey. While on a run with the team I met the incredible people who were finishing up the 2017 MS Run the US Relay. Since then I have kept in touch, followed the runners, and our team had the honor of running alongside the 2018 finishing segment for the last 5 miles. While doing so, I became inspired to join the team this year. This organization hit close to home because of my older sister Michelle. She was diagnosed when I was a freshman in high school and has been incredibly tough and persevered through the challenges of MS. She is my inspiration and motivation to complete this challenging relay segment. I am looking forward to being able to raise awareness and funds for MS research. This is my first year taking part in the Relay team and I am extremely excited to show how the mind is amazing thing. MS affects my sister’s daily life, but she pushes through it all and is so happy and successful. I will run each step of the 188-miles with my sister in mind and will have a positive attitude just like she does!